What happens when a child star grows up? When we’re talking about Norwegian operasinger and composer Thomas Stanghelle, you get a most refreshing answer: He just keeps getting better! 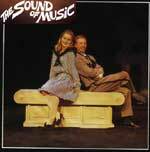 At home on the stage from his youngest years thanks to his appearances in musicals such as Oliver, Sound of music and Bugsy Malone, Thomas caught the music bug at an early age. He continued his musical training with studies in classical singing, composing and performing at the University of Oslo, the Bårdar Academy of Music and the Trondheim Music Conservatory, all in Norway. To conclude his studies Thomas took a Masters degree in classical singing and his own opera-musical “Some Sunny Night”© at the Kristiansand Music Conservatory, University of Agder. Thomas soon turned his considerable talents to the world of pop when he wrote and recorded his debut CD, Colony. Displaying a wonderful combination of styles, many of the songs from Colony would be at home on any dance floor, while Thomas’ versatile songwriting ability found emotional expression at the forefront of the increasingly popular classical-crossover genre. One track from Colony caught the ears of Chinese television. CCTV chose “Angel of Life” as the theme song for a 18-episode-series based on the achievements of friends Mark Wang (a paraplegic who was critically injured in an airplane crashed in his remote Chinese village) and the late Ketil Moe, a Norwegian Cystic Fibrosis patient and marathon-hero. 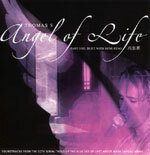 Demand was so great that “Angel of Life” grew into a full album, which was subsequently licensed by Aurora Records in Taiwan. Thomas was so moved by these two noble human beings that he was further inspired to write the opera-musical “Some Sunny Night”©. Featuring a special guest performance by A-ha lead singer Morten Harket, “Some Sunny Night”© debuted September 2004 at a Royal command performance for Norwegian Crown Princess Mette-Marit – who was moved to tears by the inspirational and uplifting opera-musical. The show tells the story of Wang and Moe’s friendship and their success in establishing the Johann Olav Koss’ & Ketil Moe’s Race for Life for the handicapped and able-bodied in both Norway and China, and garnered incredible reviews along the way. Hailed as “powerful,” “incredibly strong,” “moving” and “touching,” “Some Sunny Night”© received the highest score possible from Norway’s top national publications and combines romantic opera traditions with elements of new, modern music. “Some Sunny Night”© had its Chinese debut at a performance 16 October, 2005 at the famed Great Hall of the People in Beijing, in co-operation with China National Opera. The performance was attended by leading members of the Chinese government, the Norwegian Ambassador and key representatives of Chinese Disabled Persons Federation, the United World College and UNESCO, all of which have endorsed the opera-musical. This performance, along with an additional performance in Yinchuan (Mark Wang’s home town) brought home – literally – the powerful emotional impact of the piece and inspired tremendous press attention throughout China and also in Norway. The new version of “Some Sunny Night”©, also including Ketil and Mark’s inspiration Grete Waitz (known as the “marathon-queen” after winning nine New York City Marathons) had its first premiere in USA September 2006 at the Sorg Opera House, Ohio and Central Park, New York City. US media seemed to agree with Norwegian and Chinese press, with reviews such as “An extremly good show”, “I didn’t know a respiratory ailment could lead to something so cheery” and “The most professional thing ever seen in this city”. The media also embraced Thomas Stanghelle’s tenor-part: “Thomas Stanghelle and his mother Turid movingly portrait Wang and his mother Shen Liping”. The EU-premiere took place in the European Headquarter, Residence Palace Theatre, Brussels November 21st 2006. With the support of IOC-president Jacques Rogge, the EU-parliament and UNESCO, the best of European, American and Chinese artists together created an unforgetable international version of “Some Sunny Night”©. The year after, the Chinese Olympic Artist Troupe, My Dream, world known after their performance at the closing ceremony of the Olympic Games in Athens 2004, wanted to do a new Chinese version of “Some Sunny Night”© together with Thomas Stanghelle, this time playing the part as “Ketil Moe”. This new version also led to several major performances in Norway 2007, such as in the Nobel Peace Center in Oslo, followed by a full performance at the Oslo Concert Hall with special guest of honour Her Majesty Queen Sonja of Norway. “I’m very impressed” the Norwegian Queen stated, which summarized the magic of the Chinese/Norwegian performance. The troupe later travelled to the Red Cross Nordic United World College and finally the opera-musical was brought home to the Norwegian “marathon-hero” Ketil Moe, at the opening ceremony of Ketil Moe’s Square in Lillesand, his hometown. In October 2007 Thomas Stanghelle and the COA Troupe visited Jerusalem and Bethlehem in Israel, and in September 2008 Thomas Stanghelle acted “Ketil Moe” at the official Olympic performance of Some Sunny Night at the first day of Paralympics in Beijing. In between all of these performances, Thomas even performed his own version of “Some Sunny Night”© in Groningen, Netherlands, with a massive, and truly heartfelt response, while The “My Dream”- Troupe continued their World-Tour with The Opera-Musical in several countries around The World. In 2009 Thomas Stanghelle performed highlights in Istanbul, Turkey, and later that year the full performance at The 10-Year Memorial Day of Ketil Moe, November 11th. Together with Eurovision-Winner 2009 Alexander Rybak, Ingunn Stanghelle and 200 other artists from China and Norway, The Opera-Musical and Thomas Stanghelle’s voice was well recieved by the critics: “The performance is beautiful and Thomas Stanghelle Impresses us over and over with his beautiful voice ” (Agderposten). The great finale of the show was the unveiling of a statue of Ketil Moe and Mark Wang , made in bronze, an official gift from China. Some Sunny Night was also going to be performed in collaboration with China Opera in Beijng and Wuhan 2010, but was cancelled after the announcement of the Nobel Peace Price-winner Liu Xiabo the same year. For many years Thomas was also busy running his family-project “Three Generations”. The true musical heritage of his family was certainly shining through when touring with his opera-singing mother, mezzo-soprano Turid Stanghelle, and his singing grandmother Mathilde Marker (1918-2014), who was singing until the age of 96! Educated in classical singing, Mathilde did her first record-relase in 1963, and was in her last living years constantly touring together with her grandchild Thomas and her daughter Turid.. The full-length album “Three Generations” was released 2004, while the demand for a follow-up by the public led to a new album “Three Generations 2”, released 2006. The creative family has also released a Christmas album called “Jul i Tre Generasjoner” (Christmas in Three Generations) – released November 2007,”Three Generations 4″ in 2009, and “Three Generations 5” in 2010. In 2011 Three Geneations reached the finals in the TV-show “Norway’s got talent”(Norske Talenter) on TV2, and in her 93rd year(!) Thomas Stanghelle’s grandmother Mathilde set a groundbreaking record, being the oldest finalist ever in such a TV-competition. In 2009 Thomas Stanghelle debuted at the Norwegian Opera House in Bjørvika, Oslo, together with Mathilde and the winner of Eurovision Song Contest 2009, Alexander Rybak. In April 2010 Thomas Stanghelles new musical “Mathilde from Ramsøya” had its first premiere at Agder Teater in Kristiansand. The musical is based on the fascinating and true story of Stanghelle’s grandmother Mathilde Marker, acting herself at the age of 92(! ), helped by 100 other artists onstage, including Thomas Stanghelle. Sold out seats on every show and massive response from both media and audience made sure this was only the beginning of a long life for “Mathilde from Ramsøya”. The filmcompany Fabel & Fakta wanted to make a filmdocumentary about the fascinating story of Mathilde and Three Generations, and in January 2012 the official filmpremiere of “Mathildes store drøm” (“Mathildes great dream”) took place in Lillesand kino. Before this, Thomas Stanghelle had also helped the accordion-group Lindesnses Trekkspillklubb into the Norwegian Opera House in 2010, by writing an accordion-opera(“trekkspillopera”), which was performed in tv-shows like “Nytt på Nytt” on NRK1. In 2013 Thomas Stanghelle composed the music to the new musical “Pilegrimsreisen” with lyrics by Ivar Skippervold, which has been successfully performed three years in a row from 2014 to 2016 in the South of Norway, by request of The Norwegian Church at Evje/Iveland. For the reformation 500th anniversary, Thomas Stanghelle wrote and composed a new musical, succesfully performed several times in Norway in 2017 and 2018, in two different versions: “Luther glede”(C) and “Speilet!”(C). Something tells us that we have only seen the tip of the iceberg when it comes to the many-faceted talents of Thomas Stanghelle.